Spring/Summer Special offer from Steve Flanagan to service your gas appliances. 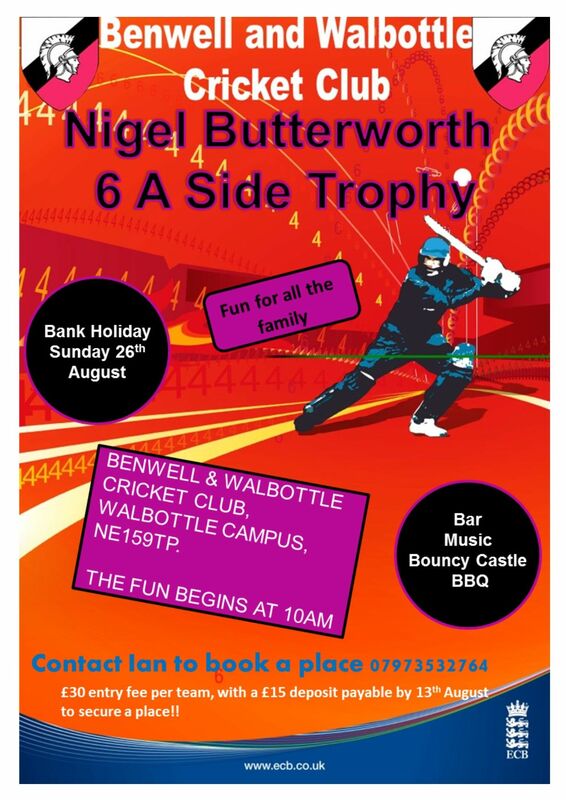 Announcement of the Butterworth 6-a-side at Benwell & Walbottle on Bank Holiday Sunday in August. Remember that 16 overs is the target format for our mid-week games if conditions permit. Enjoy the hazy (! ), crazy days of summer.